At the height of Turkey’s economic crisis last summer, President Recep Tayyip Erdogan blamed the United States for the downturn, which also saw the lira taking a precipitous nosedive. He claimed that the US had declared economic warfare by imposing trade sanctions, tied to Turkey’s imprisonment of American pastor Andrew Brunson. In conjunction with a resurgent nationalism, Erdogan’s anti-American tirade managed to appear highly credible to Turks, who were anxiously watching their buying power and standard of living rapidly erode as the lira collapsed. But that was August. Today, there is good news and there is bad news. The good news is that in the last few weeks, Turkish-American relations have improved significantly. The bad news is that the Turkish economy is still in shambles. Apparently, then, the former does not lead to an improvement of the latter. Annoyingly for Erdogan, he will now have to find other scapegoats for the nadir at which the economy currently inhabits. How and why did relations between Ankara and Washington improve? Dynamics started to move finally in the right direction when Turkey released Brunson, who had spent two years behind bars on trumped-up charges. Erdogan relented by opting for pragmatism over obduracy. His real objective in jailing Brunson was to use him to pressure Washington to extradite Fethullah Gulen, the cleric that Erdogan blames for orchestrating the failed coup in 2016. But if the US wasn’t going to budge on this, there was no point in compounding Turkey’s misery. 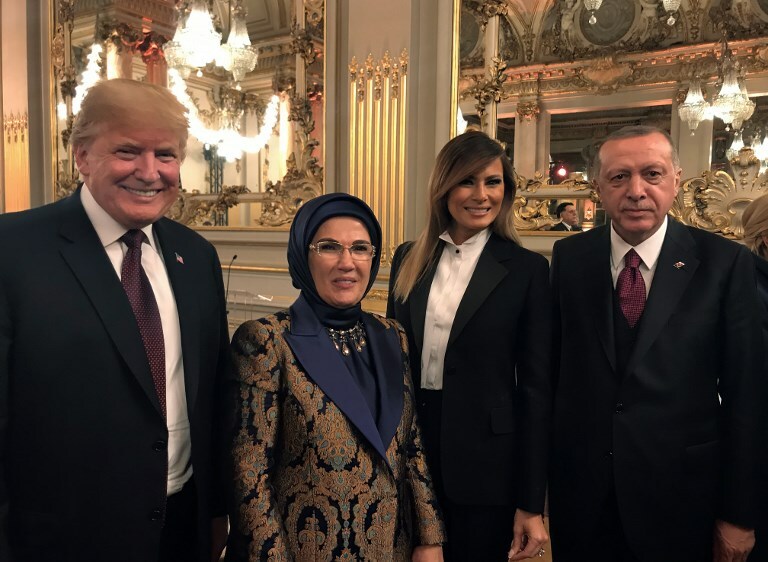 The return of the evangelical pastor to his home country – shortly before the US mid-term elections – where he was immediately welcomed at the White House, restored the lines of communication between Erdogan and Trump. And in the nick of time, too. For it recently emerged that Trump was ready to pull out from Turkey the entirety of America’s diplomatic and military contingents had Ankara failed to free the pastor. This would have been, by far, the worst crisis in the history of Turkish-American relations. But with this debacle now behind them, the two countries are enjoying a honeymoon period of sorts. Turkey, among the two is the larger beneficiary of this benign climate. And add to that the Jamal Khashoggi murder, and Erdogan found himself with new leverage to extract three major concessions out of the US – which has an interest in sheltering its Saudi ally. First, Turkey was exempted from new rounds of US sanctions against Iran. Since Turkey depends on Iranian oil as much as it does on Russian natural gas, it badly needed this. Next, Washington announced last week that it was placing multimillion-dollar bounties on three leaders of the Kurdistan Workers Party (PKK), a group that Washington and Ankara have designated a terrorist organization. Ankara naturally welcomed the decision. The only hiccup, however, is the untidy fact that the US remains determined to maintain its anti-ISIS military alliance with Syrian Kurds of the People’s Protection Units (YPG), a PKK affiliate in the north of the country. As such, the Kurds remain a spoiler for Turkey. Lastly, after his conversations last week with Trump, Erdogan declared that he expects the sizable fine from the US treasury department on a state-owned Turkish bank – Halkbank — for transactions with Iran that violated previous American sanctions to be shelved, at least for the moment. All this is good news for Erdogan. The problem is, he now has to explain why all the problems with the economy hasn’t gone away. Inflation is at a hard-to-imagine 25 percent and is a cause of the country’s growing unemployment and the rise in bankruptcies. Most economists believe Turkey will not be able to avoid a combination of economic stagnation and high inflation – the dreaded stagflation. Interest rates have been hiked recently, but the central bank’s attempt to tame inflation was a case of too little, too late. Erdogan’s dilemma is that he can no longer blame outside forces for all that ails the country. Even relations with the European Union have improved. So, no bogeyman there, either. In fact, the EU is desperate that refugees fleeing the Syrian civil war should remain in Turkey, and needs Erdogan’s cooperation for this. To that end, Erdogan recently was welcomed in Germany on a state visit, during which Chancellor Angela Merkel declared that Berlin was ready to extend assistance to Turkey with its economic problems. Local elections are due in March, and Erdogan must win in the big cities – principally Istanbul and Ankara – at a time of real economic hardship for Turks. Thus, it should not be any surprise if once again he resorts to fiscal expansion by raising public-sector wages and spending. This will, of course, only deepen stagflation dynamics and, in turn, renew Erdogan’s search for phantom external enemies. He won’t have to look far. For while relations with America have improved, they remain fraught with difficulties that Erdogan can exploit. One issue that has riled the Americans is Turkey’s decision to buy a Russian missile-defense system, due for delivery next summer. The US Congress already has expressed its unhappiness of such a purchase by a Nato power. It doesn’t even matter whether or not American arm-twisting extends as far as sanctions. Though with Trump, Turkey clearly understands that this would not be out of the question. Expect, then, nationalist-populist sentiments to be stoked up by the time ballot boxes are in place in March. It’s not just the economy, stupid – to paraphrase Bill Clinton’s old presidential campaign mantra – it’s who you blame when it goes pear shape.